Hello and Happy Friday! I am working on swatches and review posts, as well as nail art (next week is Digit-al Dozen time! ), but in the meantime I wanted to show you a polish I've been wearing a lot lately. I'm not usually into blues very much but this one has just captured my heart for some reason. China Glaze Too Yacht to Handle. Too Yacht to Handle was released two years ago in China Glaze's Sunsational Collection. I purchased it about a year ago from a local nail supply shop but didn't put it on until earlier this year. As I said before, blues are generally not my color, and this particular blue - aqua/turquoise - is particularly hard for me to pull off with my skin tone. But this one is more on the blue side of aqua and it is so brightly pigmented that I think it goes well with my skin tone and I just can't get enough of it! It is opaque in two coats and is easy to work with. It also looks amazing as undies for Elevation Polish East London, I have worn that combo quite often. I'm showing two coats below with one coat of top coat. Do you have this polish sitting untried in a drawer like I did? If so, pull it out and give it a try! It's nice to find something you already own that really steals your heart and becomes a favorite. 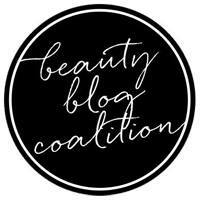 So you have any polishes that you have fallen in love with that you waited way too long to try? 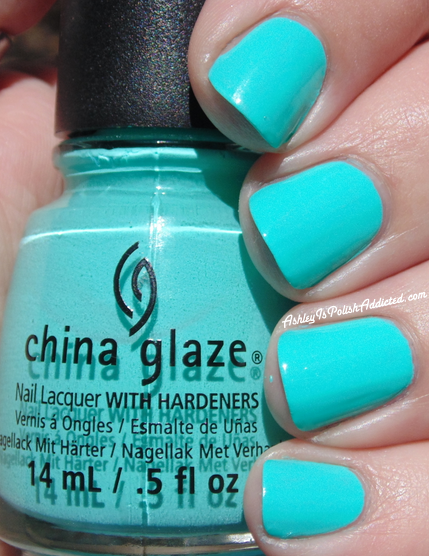 China Glaze polishes can be found at several retailers both in person and online, including Sally Beauty and Ulta. This one is part of their core line and still easily found! This really is a gorgeous shade. Good thing you finally tried it! The Digit-al Dozen Does Food: Day 2 - Pizza Date!